There are a variety of different ways that you can help to keep Adam Smith’s legacy alive. Donations for our general work, or for specific projects, are always welcome and will make a real difference to what we can achieve. Our instant access donation form will be operational very soon. Until then, please contact info@adamsmithglobalfoundation.com to make a secure donation to our work. We also require the support of people who are passionate about Adam Smith and his legacy to make our work a real success. We have a variety of different options for membership, which are listed in the menu on the right of this page. Please follow these links to find out more about the membership options available. 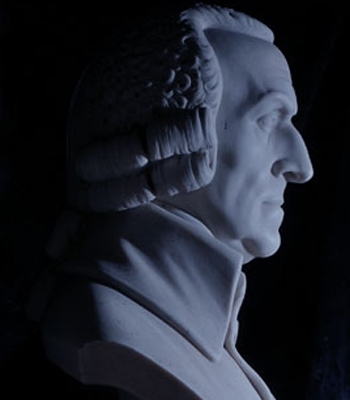 There is no simpler or nicer way than to make Adam Smith’s legacy part of your bequest. If you would like further information on this you can contact our office by emailing info@adamsmithglobalfoundation.com or calling 01592 267171. Do you have a special skill? Or would you take satisfaction from supporting our work? By volunteering with the Adam Smith Global Foundation you can put your experience and some of your free time to good use. Please email us at info@adamsmithglobalfoundation.com to find out more. Any gift that you provide will be received on the assumption that it will be made under the Gift Aid scheme and is based on a basic tax rate of 20%. Additional and higher rate tax payers can also recover a personal rebate on income tax. Please contact your solicitor or accountant for further advice.